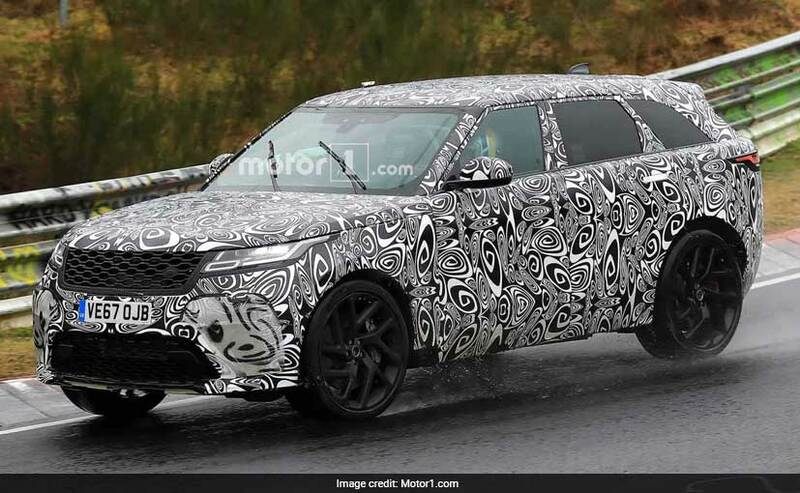 The Range Rover Velar SVR is still in testing stages and the spy shots are of a prototype. 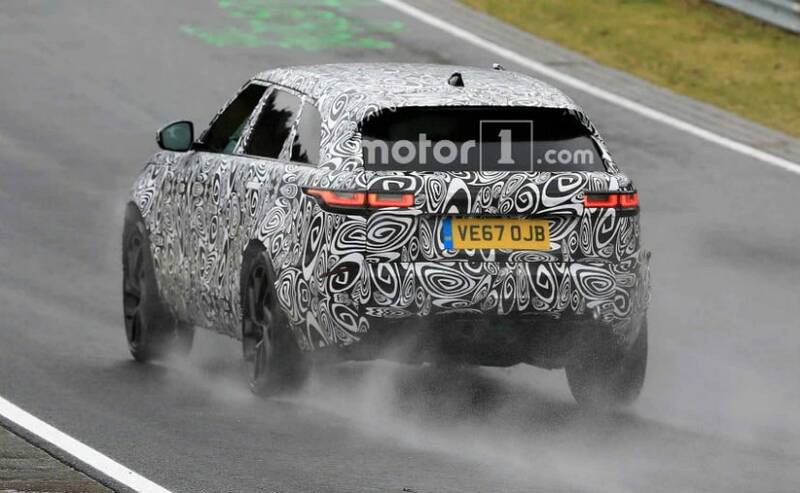 Land Rover launched its latest SUV, the Range Rover Velar only a few months back, but according to these spy shots from the Nurburgring, it seems the British car-makers are wasting no time in bringing a sibling in the form of Range Rover Velar SVR. The more potent brother of the Velar will receive massive aerodynamic updates along with a huge 5.0-litre V8 engine that is capable of churning out max power of 542 bhp and 680 Nm of peak torque. 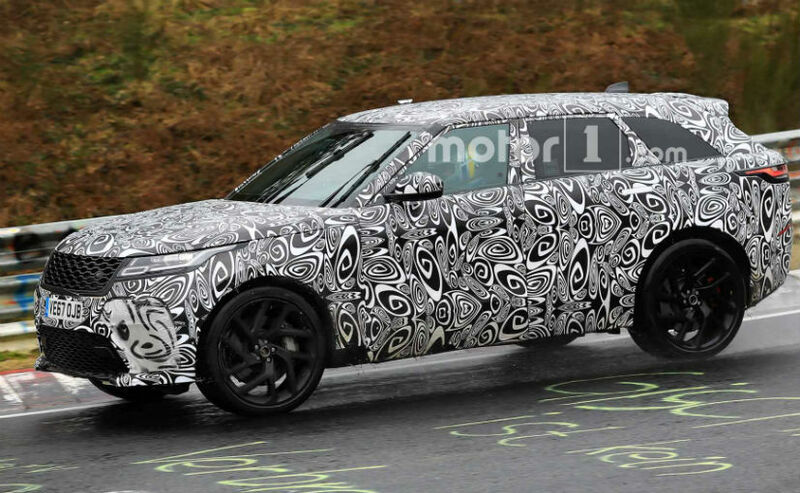 As of now, the Range Rover Velar SVR is still in testing stages and the spy shots are of a prototype, but expect the big brother to come with major aesthetic changes also. In terms of changes in design, the Velar SVR gets major update, up front it gets larger intakes at the corner, at the rear it gets circular exhausts outlets instead of the trapezoidal exits while the recessed door handles are standard from the Velar. The Velar SVR also gets all blacked out wheels to scream out the sportiness of the full-sized SUV. However, the Velar SVR is still in its nascent stage and could see more changes in its design from the standard Velar. Under the hood, as mentioned already, the huge engine brings in more power and torque than its sibling, and is mated to an 8-Speed automatic with the all-wheel-drive (AWD) system. Moreover, reports suggest that the Velar SVR is able to hit 100kmph in just 4 seconds. Now that's fast for a SUV. On the other hand, the standard Velar comes in both petrol and diesel engines with two trims in both engines. The 2.0-litre diesel engine churns out 178 bhp while a larger 3.0-litre engine produces 296 bhp. The petrol motor will be a 2.0-litre Ingenium engine available in 247 bhp, while the 3.0-litre petrol supercharged V6 churns out 375 bhp.